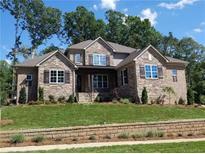 Find Charlotte, NC Homes for sale. View Photos, Maps and MLS Data Now! This is a real showstopper and exceptional value for the money, on the market well below replacement value. MLS#3496393. Premier Sotheby's International Realty. Relax On Your Terrace And Enjoy Waterfornt Living At It's Finest! ! MLS#3498070. Southern Crescent Realty. 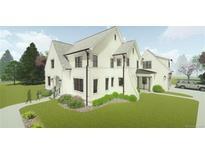 Walk to the Charlotte Swim and Racquet Club & enjoy proximity to countless amenities in a prime Cotswold location. MLS#3497655. Pike Realty LLC. Gleneagles - This Home sits majestically on a landscaped & irrigated .8 acre corner lot in Glen Eagles plus a 3 car garage and a custom designed driveway. MLS#3496099. Coldwell Banker Residential Brokerage. Deerfield - Perfect location minutes from Uptown, South Park and Ballentyne, just around the corner from the Arboretum and Matthews. MLS#3496720. JPO Residential Realty LLC. A 3rd Garage/Workshop is also Basement level. All Just minutes from Uptown. MLS#3493748. Southern Homes of the Carolinas. This home will not disappoint any buyer! MLS#3492416. Wilkinson ERA Real Estate. Walk or bike to the Wells Fargo Championship in May! MLS#3497305. RE/MAX Executive. There is a sealed crawl space. Lovely home! MLS#3497342. Allen Tate SouthPark. Driveway is directly at the stoplight at Poindexter and Park. MLS#3497239. HM Properties. Berkeley - Updated Professional Measurements to take place on 4/24/19 MLS#3498025. Keller Williams Ballantyne Area. Holly Hill Farms - Buyer agent to verify all information. MLS#3497848. Networth Realty of Charlotte LLC. Providence Crossing - large laundry Room, and bonus/office/bedrm at the top of the stairs. *insulated & encapsulated crawlspace MLS#3496929. Wilkinson ERA Real Estate. This home is protected by an Ultimate Plan from Choice Home Warranty which will transfer to the buyer at no additional cost at closing. MLS#3498075. Keller Williams South Park. Very socially active community with plenty of opportunities to meet your neighbors (clubs, holiday events, Food Truck Fridays). Swim and Racket membership separate. MLS#3496742. Helen Adams Realty. Cozy and inviting screened front porch. MLS#3497387. Dickens Mitchener & Associates Inc. Located w/in walking to Arboretum & surrounding amenities in one of the most sought after school zones. MLS#3497621. Cottingham Chalk. Elizabeth - No garage; shed/outbuilding where laundry is currently. PRICED TO SELL! MLS#3497431. Patti Elam Realty. Springbrook - Minutes to shopping, dining, highly regarded schools and the McAlpine Creek Greenway! Hurry, will not last! MLS#3497976. EXP REALTY LLC. Quail Acres - Brand new carpet throughout and fresh paint. MLS#3488656. RE/MAX Executive. Providence Heights - Tax value reflects newly assessed value pending any appeals. MLS#3479770. Allen Tate Ballantyne. Conveniently located within minutes of Arboretum, Strawberry Hill and Southpark areas and in highly rated school district: Elizabeth Lane Elementary, South Charlotte Middle and Providence High. MLS#3498107. RE/MAX Executive. Contact us today for a showing! ! MLS#3496731. New Gate Realty.